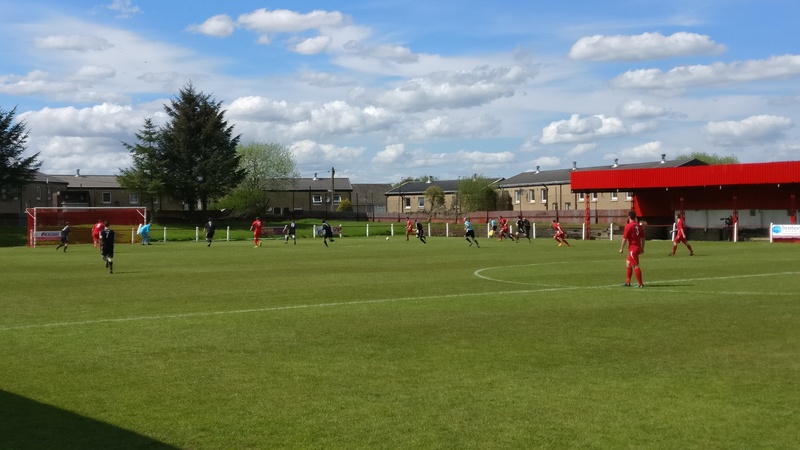 On a really lovely warm and sunny afternoon, the mighty Mariners turned on a dazzling display of football to produce arguably one of their best performances of the season. They were strong from the off and after a flurry of attacks, had the ball in the net after just 5 minutes. Alan Docherty battled through and past the keeper, with the loose ball landing perfectly for Ross Crawford to open the scoring. We continued to press as well as seeing off a few attacks from Broxburn. Dean Shaw pulled off a couple of stunning saves again to deny the few shots that got through. Just after the half hour mark, further pressure brought another corner, taken by Ryan Lockie. Alan Docherty was in on the action again and put the ball in the net with a rare headed effort. An attempted goal line clearance from the Broxburn defence only helped the ball along. Both sides had some good periods of play for the rest of the first half but it ended 2-0. After the break, the Mariners came out very strong again and it was only a couple of minutes before Ross Crawford doubled his tally for the match with a good effort. Flurries of attacks from both teams continued with the game turning a little scrappy at times. On 65 minutes, Alan Sneddon was brought into the match, relieving Ross Cameron who had been a really strong part of our attacks including having some shots that narrowly missed. Sneddon was immediately into the action as the Mariners continued to push forwards. 5 minutes later, Craig Donaldson came on for the very hard working Alan Docherty and within a minute, the Mariners had further extended their lead. 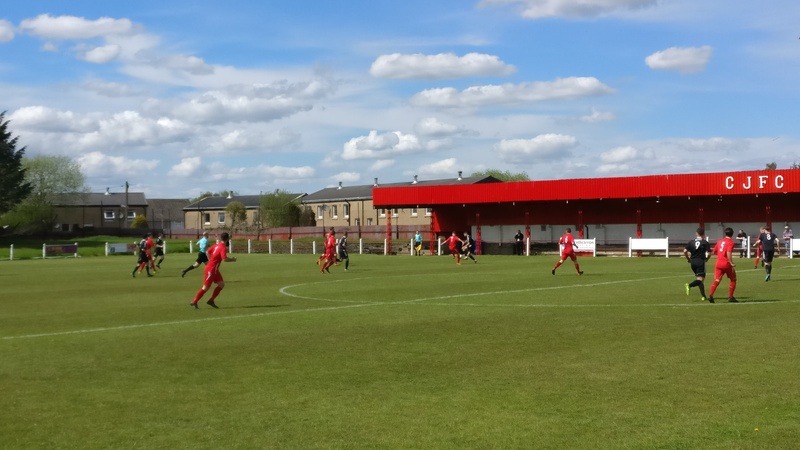 Greg Skinner was put through clean on goal in the middle of the Broxburn half and with the keeper only able to parry his shot, Alan Sneddon was on hand to pick up the rebound and put the ball in the net. Lewis Small was the final substitute for the afternoon, coming on for the double scoring Ross Crawford on 80 minutes. 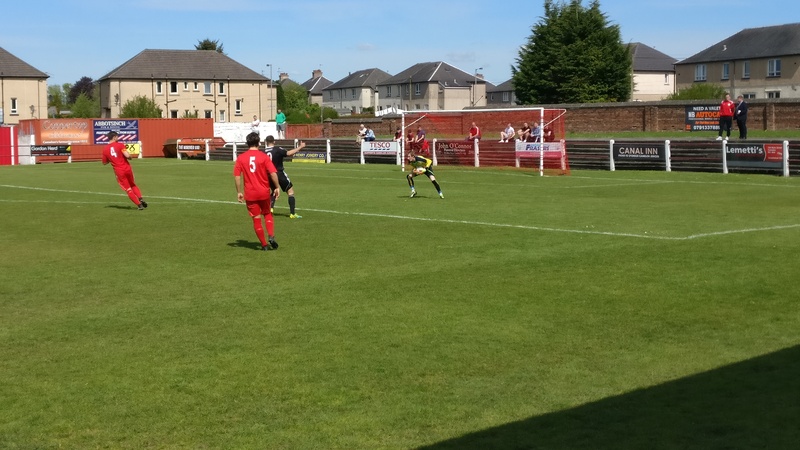 Further attacks came again from both teams and the Mariners did have the ball in the net again but Alan Sneddon had just been caught by the offside trap. 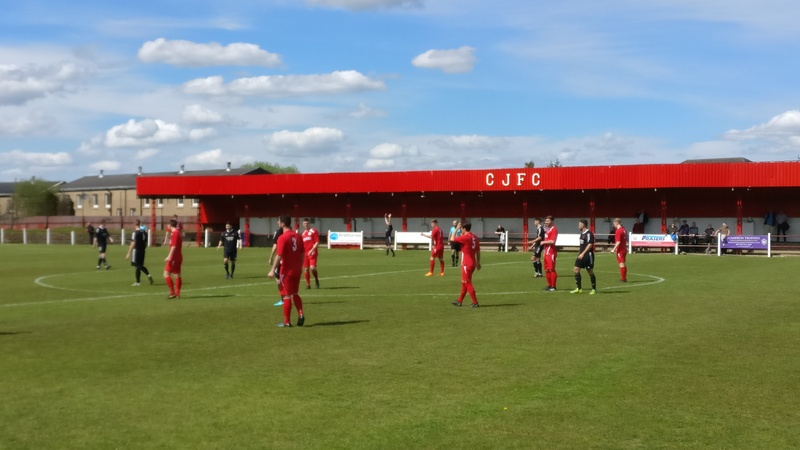 And so it ended 4-0 in a complete reversal of the scoreline when we visited Broxburn back in January. We remain in 10th but now on 38 points and with 2 games to play, the target of 40 points for the season is well within reach. Next up, it’s a trip to Lochee on Monday evening for a 7pm kick off.